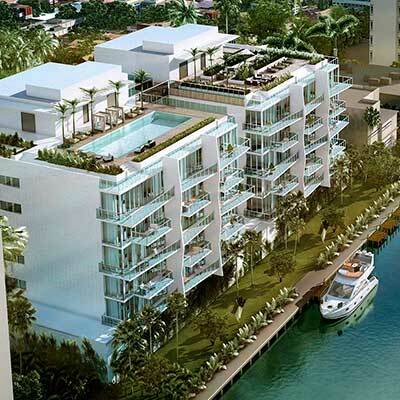 Located in the charming town of Bay Harbor Islands is an exclusive enclave of gated,modern and luxury residences. Located just a few steps away is the Ruth K. Broad K-8 Center. Considered one of the most prestigious locations in South Florida, 101 Bay Harbor offers something new and exciting to the town and village of Bay Harbor Islands. This highly acclaimed learning facility has been the recipient of numerous educational rewards and as an added benefit is bringing new fields and playgrounds to the school. These contemporary and luxurious residences feature open and spacious plans that also allow for flexible living choices tailored to meet the individual needs of our discerning Buyer. Residences include floor-to-ceiling windows, private terraces, 2 car garages, fabulous kitchens, baths and roof top terraces. Conveniently located between Miami and Fort Lauderdale, 101 Bay Harbor is just minutes from two international airports, two seaports and numerous other famous destinations. Just to the South is Miami Beach, the Design District, Downtown Miami, Lincoln Road, and world famous South Beach. Located just to the North is Aventura Mall, Gulfstream Shops and Restaurants, Casinos, and Hollywood’s notable beachside boardwalk that offers joggers, bicyclists, and pedestrians the Oceanside opportunity to take part in countless eateries and cafés along the way.